Chelsea bagged a shirt deal with Japanese tire-maker Yokohama that would rake in £40 million a year for the club. The contract is for a term of five years and with this deal the Blues have stolen a march over rivals Liverpool and Arsenal in the shirt-sponsorship segment. It's next only to Manchester United's £53 million-a-year deal with Chevrolet. The Yokohama deal is double the size of the previous one of £18 million signed with Samsung whom they have replaced as the new sponsors. The deal validates the appointment of Christian Purslow, who took charge of the club's global activities in October 2014. It also helps position Chelsea as a global brand name and at back at Stamford Bridge it enables manager Jose Mourinho to compete with rival clubs in the transfer market. Previously Mourinho's scope for buying new talent was restricted and in order to do so he had to sell first. Now thanks to the Yokohama deal, he has more elbow room to buy someone like Raphael Varane, a central defender from Real Madrid whom he intends signing in for a reported £30 million. It will facilitate the adding of another midfielder and a forward, too. The deal is one more step for Chelsea towards financial self-sufficiency. During a photoshoot with Yokohama Rubber chairman Tadanobu Nagumo, Chelsea chairman Bruce Buck said that the tie-up would help Chelsea expand its brand to a potential US market, where the Japanese tyre giant already has a significant presence. Pre-season tours to Japan, where there is a considerable fan following, are also part of the deal. Chelsea is currently among the most recognized sporting brands with a following of 500 million and many of them spent a combined 31,000 hrs of broadcast time watching the club play last season. A official statement from Chelsea claimed that the deal will launch the club into a new level of commercial partnerships. It will focus on Chelsea's strategy to be one of Europe's leading clubs and enable it to become a self-financing entity which is compliant to UEFA Financial Fair Play rules. 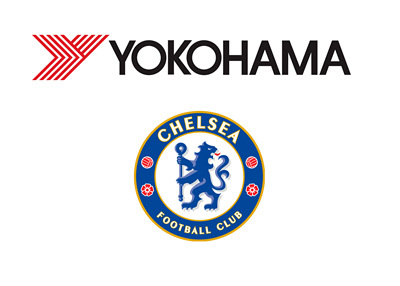 Yokohama Rubber has operations spanning over a hundred countries and employs around 20000 people.The Yokohama brand will be seen on shirts of Chelsea players from the current summer and an opportunity for the company to showcase themselves to a massive worldwide audience resulting from the ever-growing popularity of the club.